In recent weeks a noise action campaign against Transport for London (TfL) has been quietly gathering supporters on Twitter. We chatted to the women behind @turnitdowntfl to find out what's been rattling these Walthamstow residents. During three weeks in August, the Victoria line was shut for upgrade work to increase the line's capacity from 24 to 36 trains per hour — a welcome addition for most Londoners. But immediately after this work was completed, residents in the Walthamstow area faced a noise problem. "It is appallingly bad," said Lynda Bailey, a resident living near Walthamstow Central, of the morning in August when she awoke to "a loud roaring sound with a banging element to it". Little did she know that noise would be an ongoing irritant from the first train at 5.30am to the last, after midnight. After consulting neighbours, Lynda realised she wasn't alone and people up and down the southbound line stretching from Blackhorse Road to Mansfield Road were suffering from the excessive noise. Some even reported rattling furniture in their homes. Lynda, along with neighbour Polly Corrigan, started the @turnitdowntfl campaign by leafleting instructions on how to make a complaint to TfL. Noise pollution is a London-wide problem that's detrimental to health and the environment. 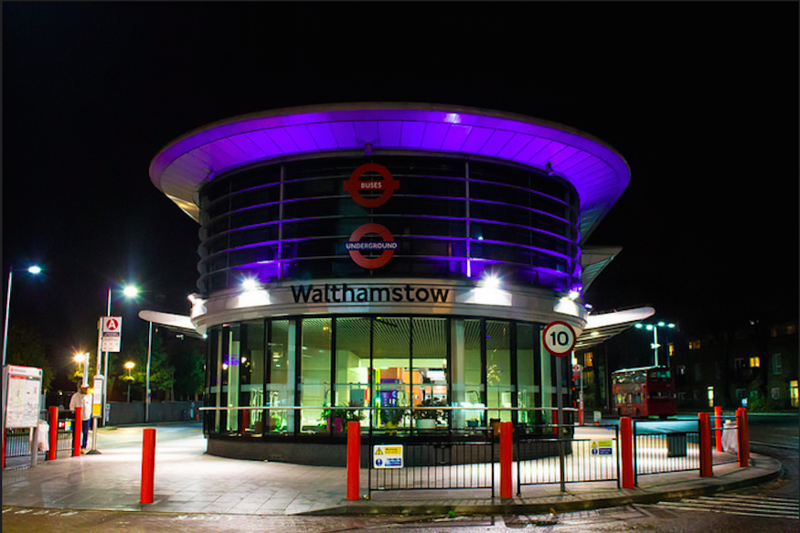 Local resident Zoe Green, who joined the Walthamstow campaign said: "There are so many people suffering alone, it's not easy to lodge a complaint with TfL but the group provides a support network, as a group we have more influence." With the imminent arrival of the night tube, residents are naturally nervous that their sleep deprivation will continue into Friday and Saturday nights. Another local Rachel Collins said: "All the plans for TfL to deliver world class travel are having a negative impact on people's lives, we just want our lives returned to normal before the 24 hour tube hits and for TfL to take responsibility for their actions." Lynda echoes her sentiments: "If they want night tubes, they need to get the infrastructure right first." In starting the campaign they hope to reach out to other Londoners. Lynda said: "There are thousands of Londoners living up and down the tube lines and TfL has a responsibility to these people too." For those who have recently moved into their homes, the London transport link that once boosted their house value has now set it back, and there are further worries about structural damage to homes from the vibrations. Zoe Green, who only recently moved to Walthamstow, is exasperated: "Our houses aren't worth what they were a month ago, I can't think about what would happen if they don't fix the problem. Throughout the disturbances TfL says it has been in contact with residents, and despite the ongoing engineering works to repair misaligned joins the noise has continued. But even in the circumstances the community has found humour in finding new ways to describe the sounds disrupting their daily lives — jackhammers, jet engine sand freight trains to name a few. "If we didn't find a way to laugh about it, we'd be in tears or go crazy" said another resident. TfL has issued an apology to residents; George McInulty, LU’s programme director of infrastructure, said: “We are in touch with some Walthamstow residents who have reported noise from the trains on the Victoria line. "Our engineers are treating this as a priority and have been improving and renewing the track beneath their properties over the last week. I apologise to those who are being disturbed and assure them that we will do all we can to reduce noise and vibration from the trains as quickly as possible." If you live by an excessively noisy tube line or are particularly affected by the problems along the Victoria line follow turnitdowntfl or WalthamstowLife.